I saw this issue on Google plus wherein users are asking why isn't there a "-1" button for the said networking site. This may not be the first time you'll be hearing this issue or request on all social networking sites specifically on Facebook [FB] (which currently holds the top spot for the best social networking site). There are also scams before on FB that uses this issue to generate a fake "Enable Dislike Button" which hacks the original share button. Eventually, news said that this is just a fake feature that aims to run scripts on your system. Analyzing this, what could be the reason why a dislike button (or similar) should be placed on sites (take note that I used sites instead of social networking sites). First, let's see some example of sites with has a similar "Like/Dislike" feature. Try stackoverflow.com as our example, this site isn't a social networking site but rather a small community for programmers. It has a "Vote-Up/Vote-Down" feature that the Stackoverflow uses to filter the contents and the user's reputation for searching purposes. The higher the vote, the more relevant the post could be. On some blogs, similar things is applied to see the popularity of the said article. In other words, people uses this dislike button to tell that the certain post, article, note or reply is irrelevant and thus help other viewers in filtering the contents. Why not social networking sites? So the question is why not place something similar to FB or social networking? First, is there a need for it? 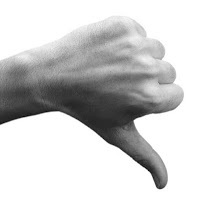 In my opinion, "Dislike" buttons are signs of negativity and would be a bad idea if placed on social networking. A friend on FB told me once that if this would be applied, there are possibilities that the population of FB users would drop due to this negative effect being a tool for destructive opinions. Imagine a post or a picture of you with a numerous number of thumbs down, I'm pretty sure that no one will love to see such thing. Now imagine the effect of this to the user who posted it, admit or not there are people out there who would take this things deeply and may affect their self-esteem. Some may even quit on it. To summarize this, I somehow think that "Dislike" buttons have it's own benefits and may not be useful on social networking. Most of this social networking sites have comments box so leave all the criticism that you have (bad or good) in there. In that case you can explain why you hate it unlike the thumbs down button that leave negative effects without giving justice on it. Quoted from Kax Morico feels like hell when you see your own post with 235 bu*sh* hits.. lol..
Pros: "Dislike/Down Vote" button could be there- if the system supports to hide what you didn't like from your stream. Cons: It's not a "healthy" way to show how many dislikes was there to the public- the point you've already mentioned. Nice share Omo, yeah you're right. This feature has it's own pros and cons. I think, this functionality is site and content dependent, maybe that's the reason why FB is still not putting it. Users demanding for a "DISLIKE" button on social networking sites should read this. And oh... I knew Kax from G+ (I actually don't know her personally), I suddenly received an "Added to Circle" from her.. So now we're friends (I think) :p Do you know her? long time no hear ayisharu aka seishun_hyotei :) nice to have you back here! Your right! There no need for social networking site to have that kind of module since there are no relative information concern (I'm talking about the picture and video and not the shared link). As you said it may drop down the self esteem of the people. Imagine, you post you picture and what you only see is a big number of "Dislike". Dislike is only capable in sharing information to avoid plagiarism (I think). BTW you also know Kax Morico? Small world.